Download and install latest Lenovo ThinkPad T480 drivers for Windows 10 64 Bit to get your laptop operate properly. 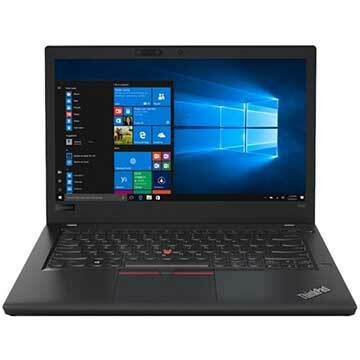 As described at Lenovo official website, Lenovo ThinkPad T480 is 14 inch laptop powered by up to 8th Generation Intel Core i7-8650U quad-core mobile processor with integrated Intel UHD Graphics 620 video card and discrete NVIDIA GeForce MX150 graphics video card with dedictaed 2 GB video memory. This Lenovo notebook PC comes with up to 32 GB DDR4 2400 MHz system memory and up to 1 TB PCIe SSD OPAL2.0 solid state drive to store your documents. This mobile computer features USB 3.1 Gen 1 Type-C port, DisplayPort, USB 3.1 Gen 2 Type-C / Intel Thunderbolt 3 port, 720p HD web camera, Intel Dual Band 8265 Wireless-AC (2 x 2), Bluetooth 4.1 with vPro, 4-in-1 SD card reader (SD, MMC, SDHC, SDXC) slot, HDMI port, Fibocom L850-GL 4G LTE-A cat 9 WWAN networking, stereo speakers with Dolby Audio Premium, and up to 14.4 hours of battery life with dual battery (24 + 24 Wh). These drivers are compatible with these Lenovo ThinkPad T480 models : 20L5S1RY00, 20L5S1S100, 20L5S1MD00, 20L5001GUS, 20L5S1S000, 20L5001EUS, 20L5S1RY00, 20L5001EUS, 20L5001FUS, 20L5CTO1WW, 20L5004HUS, 20L5000UUS, 20L5000WUS, 20L5000YUS, 20L5S1S000, 20L5000XUS, 20L50018US, 20L5001DUS.